This 5-hour workshop utilizes the nationally recognized Training for Intervention ProcedureS (TIPS): On Premise curriculum, which is designed for servers at restaurants, bars, hotels, in-store tastings, or other establishments where alcohol is consumed on the premises. 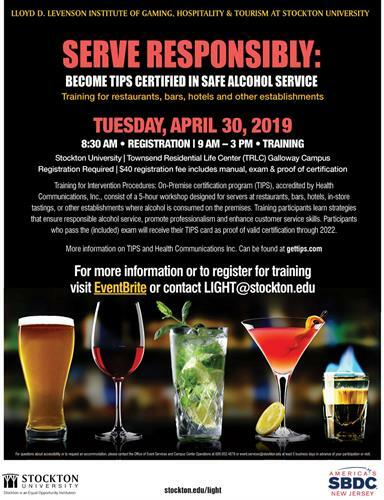 Training participants will learn strategies that ensure responsible alcohol service, promote professionalism, and enhance customer service skills. Participants who pass the (included) exam will receive their TIPS card as proof of valid certification through 2022. Simple hospitality (coffee, water, tea and light refreshments) will be provided, participants may wish to bring a bagged lunch or take advantage of other area dining options during their mid-day break. Please note: LIGHT and NJSBDC withhold the right to cancel this class due to under enrollment. Notice of class cancellation will be sent to all registered participants not less than one week prior to the scheduled training session. Registration fees will be released by LIGHT/NJSBDC within 24 hours of notice of cancellation, refunds may take 5 to 7 days to process depending on your payment service provider. 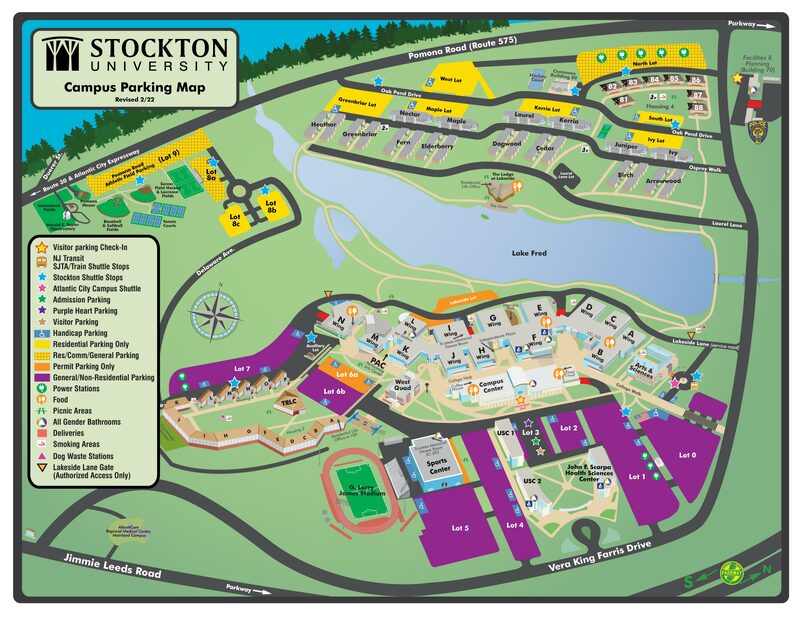 Please visit www.stockton.edu/parking/visitors-guests for parking/transportation information and directions to Stockton University's Galloway Campus. Please feel free to contact LIGHT at LIGHT@stockton.edu or (609) 626-3859. Registration Fee of $40.00 includes participant manual and certification exam. Refund Policy: Registration fees will be released by LIGHT/SBDC within 2 business days of receipt of refund request, up to one week prior to the event. Refunds may take 5 to 7 days to process depending on your payment service provider.